It's a bit of a trek for us here in the Bay Area, but one of our JEC students Justine Bourgois is holding a benefit concert next Saturday, October 21st, just outside of Brussels, Belgium. Proceeds from the concert will go towards an educational scholarship program for one of our Mlima Shabaha students in Tanzania, Martha. Spread the word to any of your friends in the area, or consider making a donation directly to Martha's scholarship fund via the Donate page of this site. Lalafofofo has been raising money to help fund Martha's secondary school education. 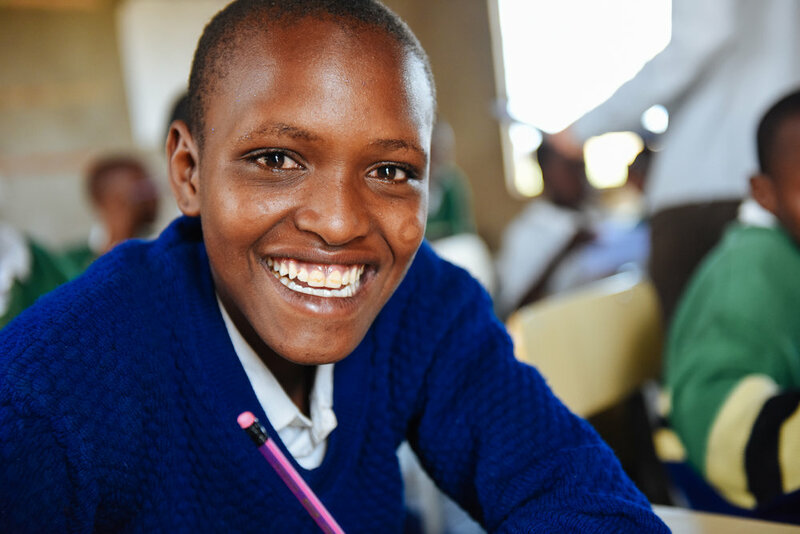 Martha, center, smiles during her Standard 7 class at Mlima Shabaha School. Older PostTeenz Rock for Tanzania: Save the Date!